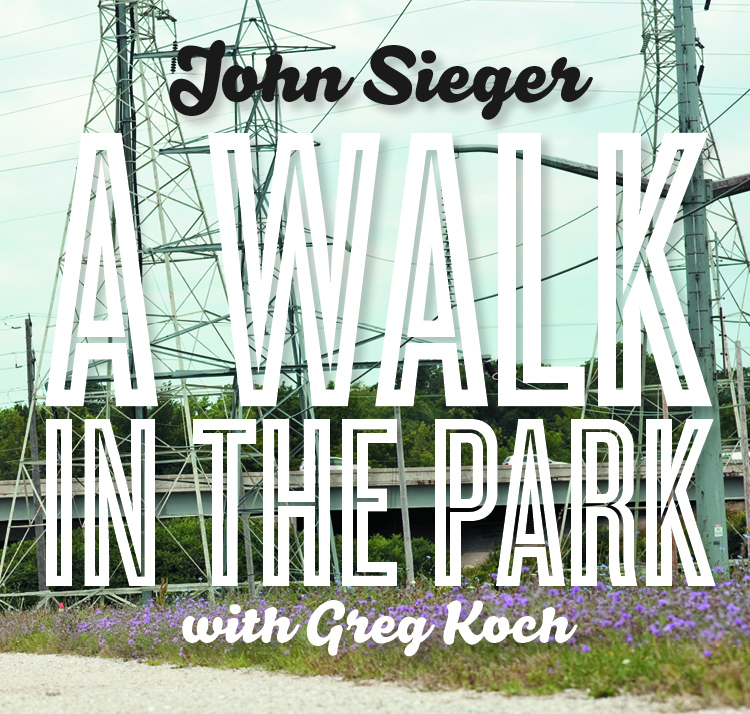 A Walk In The Park (With Greg Koch) ambles graciously through some familiar territory. We start in the lovely garden of Folk, and soon arrive at a place where everyone seems to be swingin' – the Soul Playground. We wind up by a nice little lagoon with a view of the city, and I'm afraid that's about as far as this metaphor will stretch! With songs that tell wistful stories, and a mostly low-key approach, this project insinuates more than insists. For those whose tastes run to straight-down-the-middle and sentimental, the opening track, Baby Sister, should do the trick. A tale of a pesky brat you know will grow into a stunner. Country Boy and I Wish It Was September are both pulled from the heartbreak files, the first being a Chicago soul tribute and the second vaguely French musette. Noreen, Crackerjack Prize, Louise At The Pawnshop and Saviour Blues, all based on wicked little Greg Koch riffs, we can call folk music if the hootenanny police aren’t being too strict. The remaining songs range from from funny and odd — a dynamic duo of blues stomps, Save Me and Lattimore, the latter a tale of a hapless rube and a vixen with a heart of lead — to strange journeys into baroque pop, like The Searchlights and Over The Falls. Let Me Try Again is meant to be a lost Stax track and a booty shaker. With loads of analog warmth provided by co-producer Chris Hanson, it was easy to make. The threads tying the whole thing together are Greg’s amazing guitar parts, the very able backing of many members of Semi-Twang, and a sense that songs, like loaded weapons, are something you can’t pull out of a determined man’s hands. Listen to the snippets below, and if you like what you hear, you can buy it!